We are assigning a Digital Object Identifier (DOI) from crossref (Tejass Publisheers) research agency (RA) to each published scientific research articles. The unique DOI provides a persistent link to the internet ocean. By the use of doi, authors can easily cite, link and access their research papers worldwide. By default authors gain an international readership by means of numerous back links, optimized visibility and discoverability for their published papers with international publication standards. IARJSET doi prefix is 10.17148/IARJSET. Simultaneously each author or contributor gets an ORCID (Open Researcher and Contributor ID). The IARJSET is listed in Online Computer Library Center (OCLC) Worldcat :: OCLC number is 904339009. The above unique identity makes a great reputation for our renowned journal. Our scientific journal is internationally licensed under Creative Commons Attribution 4.0 International – CC BY 4.0. An author permits people the right to share, use their creative and innovative work across the world in relevant discipline of computer and communication areas. This kind of our publication pattern provides an author flexibility and defend the people who use redistribute an author’s work against copyright. As per our journal policy the author retains some or all the copyrights associated with the work. Authors can promote their work to a wider audience. Our journals having an International Standard Serial Number (ISSN) for electronic serials, including print publication is registered in an international database. In added of doi of an article is made greater visibility for author’s work. 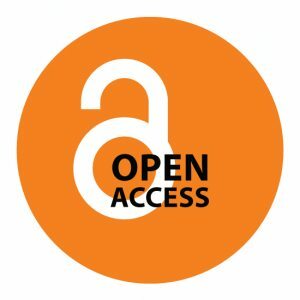 Our gold open access publication standards give immediate and wide visibility to author’s potential work. In post publication, our key attributes of DOI, ORCID, OCLC Worldcat will give global impact to you and your papers. Published articles are available in leading global bibliographic repositories for long-term from our abstracting and automated indexing services. The article metrics of our pattern give a good and reliable impact to an author’s work. This phenomenon achieved by an electronic paper submission system, screening or filtering suitable papers to review, our well-defined peer-review model, eminent reviewer’s resource and streamlined editorial workflow, reviewers’ valuable comments or suggestions to authors, revisions, technical team and gold open access. IARJSET is made easier to promote authors published a paper through our effective abstracting and indexing services. Abstracts are lead author’s original research work by bibliographic details and improving indexing efficiency. Our automated indexing methods are the highest scientific quality, minimize the time, effort and maximize the searching success rates. IARJSET indexed in well-known global bibliographic repositories. More..
We are providing a life-time free universal access to your research article it will make sure extensive global reach and readership with a wide audience. This kind of accessing method is more useful to the research scholars, students and the public during their academic requirements or personal knowledge enhancements’ without any charges via our archiving modules. Our open access explores higher downloads, views, citations, references’ over a long period. Based on this model, readers allowed copying, using, distributing and exploring their derivative works in the digital medium. According to our waiver policy, authors who wish to apply for waivers must prove their inability to afford the manuscript handling fee depends on low-income and lower middle-income countries. This is applicable only for non-Indian authors. PDF, HTML on our website with open access pattern. This kind of digital presentation makes sure articles portability, mobility, preservation, data encryption, and compressed format to global readers or audience. Our rapid and high quality printing process gives the print Journal, certificates to authors, institutions’ and or industrial subscriptions.